You are here: Home / The Spin / Darlene’s Debut! 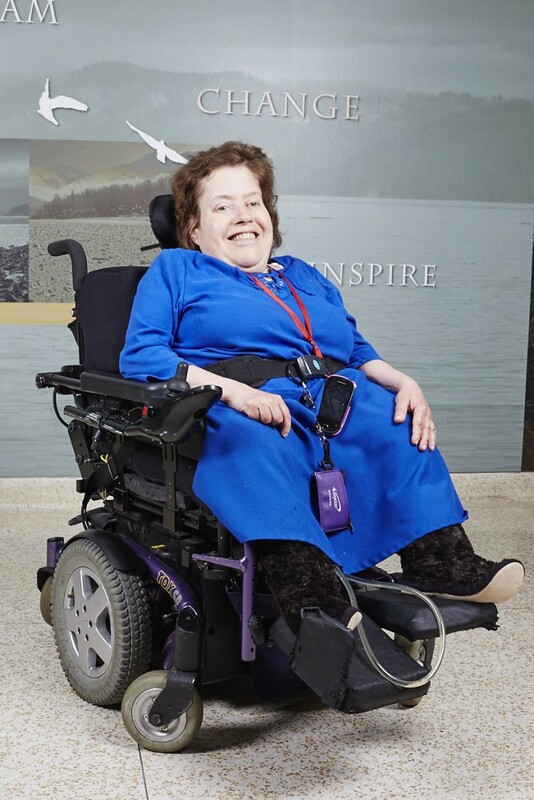 Darlene Leigh has been performing with Wheel Voices since its inception. Her humour and charm enhance and light up every production! 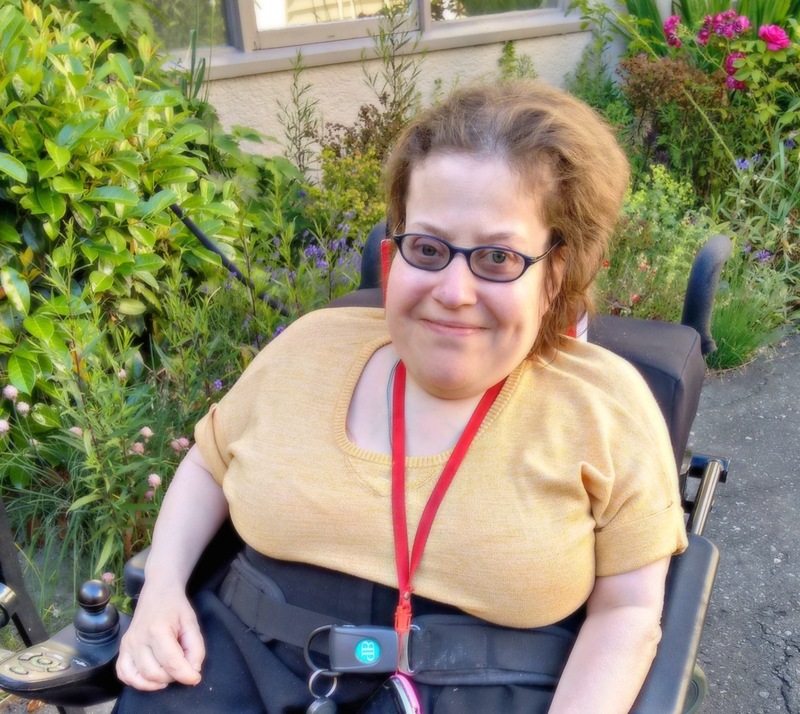 Darlene’s outgoing nature and love of storytelling inform our production of Super Voices, and she’s excited to share her superpower with audiences. Read on about Darlene, and don’t miss her perform live this week! Tell me a bit about yourself and the things you enjoy. My name is Darlene, I live at False Creek Residence and am loving every minute of it. I like to go out to restaurants, to meet new people and make new friends. It gives me a chance to express myself! I found out about Realwheels by some people from False Creek who were in it. What draws you to Wheel Voices? What keeps you coming back? This is the third time I’ve participated in Wheel Voices and I keep coming back to do more acting. I’ve learned so much from the program. 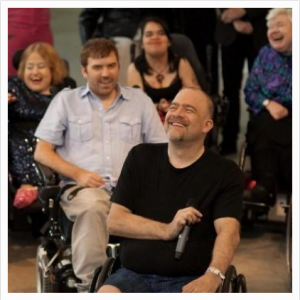 Were you interested in acting or the performing arts before you tried out Wheel Voices? When I was growing up I always wanted to be an actress, from watching movies. Wheel Voices has given me the opportunity to pursue that passion. What skills have you learned through Wheel Voices that you use in your everyday life? I’ve had more confidence from day one, thanks to James Sanders, who got me started with Wheel Voices. If it hadn’t been for him, I don’t know where I’d be. I have had so much support and encouragement. I think that storytelling means a lot. You can express your feelings and tell your story to an audience. What is it like to tell your story in front of an audience? Nerve wracking and really scary. The trick for memorizing my lines is to take a deep breath and hope that it all works out! My superpower is my love always for my grandmother, who passed away two months after my dad. My superpower is derived from my deep love and memory of my family. What would you say to others that might be interested in participating? Join Wheel Voices because it’s really empowering! Are you ready for the performance? I think I’m ready, I’ve been practicing non-stop and biting my nails!